Truck crashes can be devastating because of their size and weight, but what about what they’re carrying as their loads? This is something that isn’t always discussed as much as it should be. It’s important that drivers are observant and know what kinds of materials are being transported around them. In the event of a crash, a semitruck’s materials could spill, leading to secondary injuries from burns or crushing injuries, as an example. To better keep yourself safe, you should know how to read the placards on a truck and be able to identify them in case of injury. What kinds of placards are found on trucks? First of all, a placard is simply a diamond-shaped sign found on the back or side of a truck. This sign identifies the truck’s contents. Typically, they’re used for hazardous materials. If the truck is not from the United States, then you may notice a variance, but most state “DANGER/DANGEROUS” in at least some form. With placards, there are several classes, each marked with a small number at the bottom of the diamond. Class 1 are marked in orange. Class 2 are solid colors such as yellow, white, red and green with direct text explaining the contents. Class 3 contains all red labels marked with a “3.” Class 4 is generally striped or broken into two colors. International class 4 labels are simply blue with imagery. Class 5 refers to oxidizers and peroxide. Class 6 labels are black and white only. These include poisonous materials and inhalation hazards. Class 7 refers to radioactive substances. Class 8 is corrosive. Class 9 is blank. 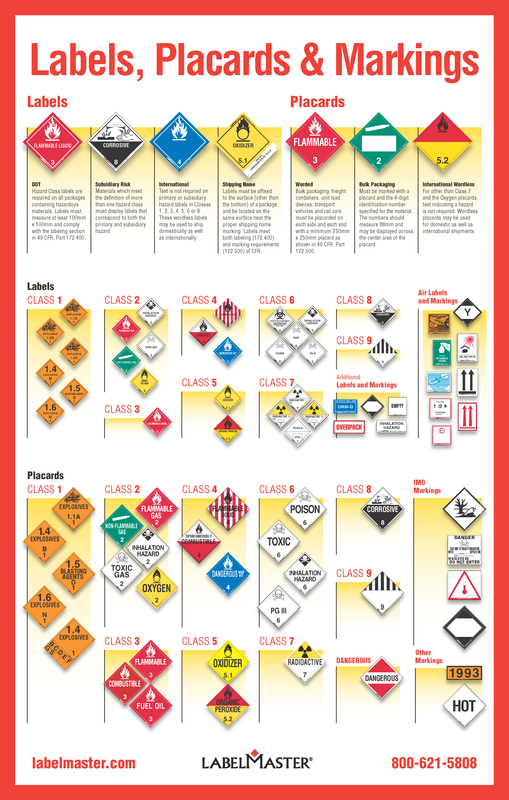 There is also the ability to add numbers and further lettering, like “dangerous” or “hot” with the addition of a second placard. Why is a placard important? In the case that you suffer an injury because of the vehicle’s contents, you should see if you remember the placard or can point it out. Knowing the class of the substance and what it is known for can help the emergency team help you better and find a way to negate what has happened to you. Chemical burns, for example, require special care and may rely on knowing which chemical was used to cause the injury.